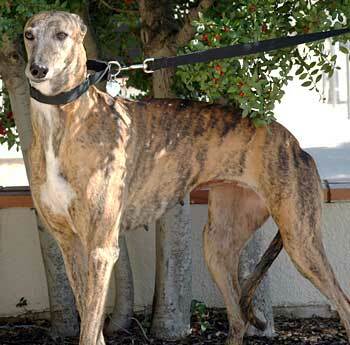 Ziggy, aka Ziegler, is a beautiful 7-year-old red brindle female, born July 15, 1998. Ziggy's sire is the famous Malotov and her dam is Good Lucy. 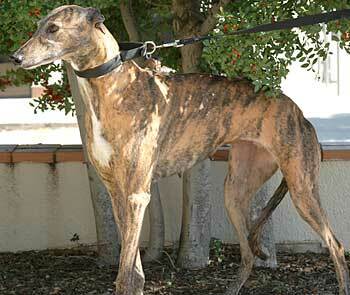 Ziggy's racing career was from February 21, 2000 to April 12, 2000 all at Derby Lane. Since then she has been a brood matron, whelping a total of 10 puppies before her retirement. She had 5 male pups and 1 female pup in April 2002 sired by Oshkosh Slammer. 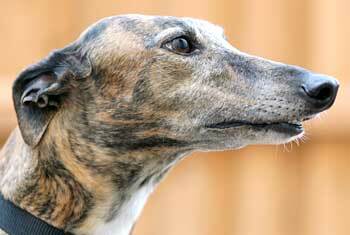 Her last litter was by Recent Survey, with 3 female pups and 1 male pup whelped in May 2003. Those days are all behind her, and she is ready to find her forever home. It is not known at this time if Ziggy is small animal or cat tolerant.